There’s a new short film being made locally in North Texas and it needs your help. The film in question is called ‘Jesse‘ and is a cerebral film that speaks to the human ability or inability to choose between two paths: one that seems right in the moment and one that takes true restraint to see the bigger picture. The teaser trailer for the film looks great and has me intrigued to see what this crazy movie is all about. The filmmakers and actors really want to finish this film so that they can send it to a few film festivals. I love supporting indie filmmakers, especially local ones to North Texas. Filmmaker Jay Shirtz has done a few things over the years, and is a director to put on your radar. 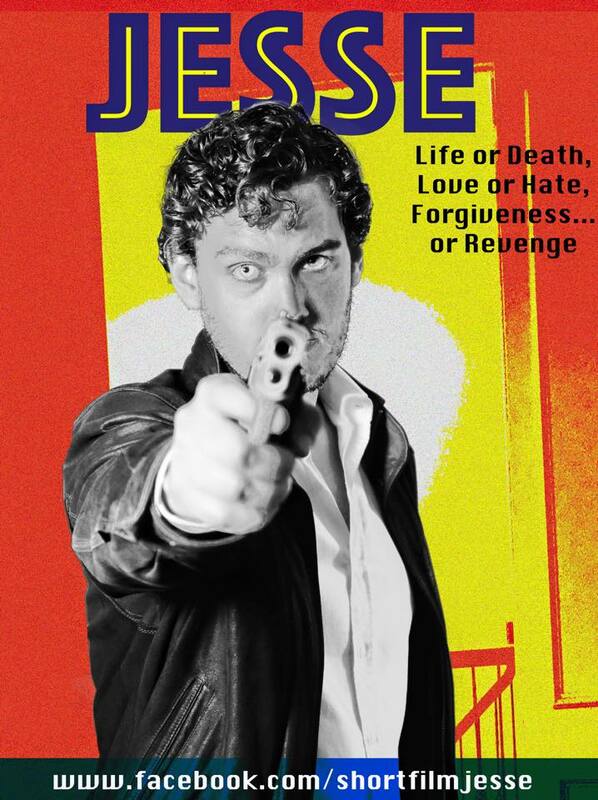 ‘Jesse‘ looks to be something completely original, fun, and intense, which needless to say, I’m completely looking forward to seeing the final product. Hell, I even donated here. So I ask you loyal readers to take a look at the ‘Jesse‘ Indiegogo campaign, watch the trailer and behind the scenes featurette, and donate anything you can to get this local film finished so that the world can see it. The perks are pretty sweet too. CLICK HERE TO DONATE TO ‘JESSE’! This entry was posted on Wednesday, May 6th, 2015 at 10:58 am	and is filed under Film, News. You can follow any responses to this entry through the RSS 2.0 feed. You can skip to the end and leave a response. Pinging is currently not allowed. There are exciting times ahead!! Everything is in full swing, and we are pumped to resume filming in June! Thank you, Bryan, and boomstick readers for all of your interest and support! « WWE: RAW 5/4/15 Recap!! Fatal Four Way?!? !